In January, Sherry Skalko joined the Reporter as its new managing editor. Skalko is an experienced digital leader with an impressive record of increasing audience and exposure for media organizations and nonprofits. Most recently, she was the Midwest editorial director for Patch, AOL’s network of community-specific news sites, and editor of the Online News Association, the world’s largest nonprofit membership organization for digital journalists. In March, Investigations Editor Rui Kaneya moved on to pursue freelance opportunities in journalism after 15 years at the Reporter. Kaneya joined the organization as a Robert R. McCormick Tribune Minority Fellow in Urban Journalism and worked his way up to managing editor, where he helped shape the Reporter’s award-winning investigations. He later had a stint as interim editor during the Reporter’s search for a permanent editor and publisher. Kaneya and reporter Angela Caputo were among four finalists for the 2013 IRE Medal award from the Investigative Reporters & Editors. They were recognized for data-driven stories that shed light on the Cook County criminal court system, using a database of more than 11 years of court records. The finalists and winners were announced in April. 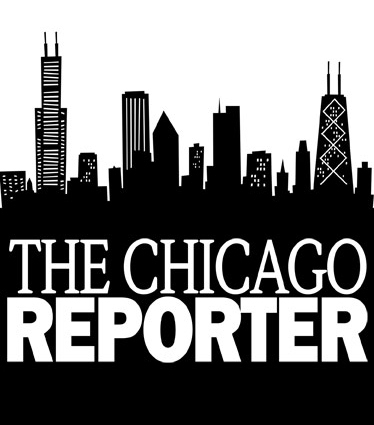 A story about the Cook County criminal court system by Caputo, Kaneya and interns Matthew Kovac, Evan Moore and Latricia Polk is among five finalists for the Richard H. Driehaus Foundation Awards for Investigative Reporting. Winners will be announced May 6. Reporter María Inés Zamudio was a mentor at Migrahack in México City April 5 to 7. The hackathon was sponsored by the Institute for Justice in Journalism and brought together journalists, developers, designers, nonprofits and community members to create projects using open data on immigration. In April, Zamudio was awarded a Bringing Home the World International Reporting Fellowship from the International Center for Journalists. She will go to Central America this summer to report on the sexual exploitation that women migrants experience as they travel to the United States. Photojournalism fellow Michelle Kanaar was awarded an Immigration in the Heartland fellowship sponsored by the Institute for Justice and Journalism to produce a photo documentary about immigrants and the minimum wage. Photojournalism fellow Sophia Nahli Allison was selected to participate in the second-annual New York Portfolio Review hosted by the New York Times April 5 and 6. During the two-day event, Pulitzer Prize-winning photojournalists and photo editors critiqued the participants’ work and conducted workshops. Caputo co-led a panel entitled “How to Uncover Inequity and Swindlers in Subsidized Housing Programs Near You” at the annual Computer-Assisted Reporting (CAR) conference, which took place Feb. 27 to March 2 in Baltimore. Editor and Publisher Susan Smith Richardson co-led a panel entitled “Telling Stories with Data” at The Media Consortium annual conference Feb. 27 to March 1 in Chicago. Richardson also convened a panel at “A Revolutionary Moment: Women’s Liberation in the late 1960s and early 1970s,” a conference sponsored by the Women’s, Gender and Sexuality Studies Program at Boston University March 27 to 29. Reporter María Inés Zamudio accepted a position as an investigative reporter at The Memphis Commercial Appeal. During her three years at The Chicago Reporter, Zamudio covered immigration, labor and health care.